By HeatherLynn on June 13th, 2011 . Filed under: Cupcake Ideas, Kitchen . How do you carry your cupcakes? I just found two great cupcake carriers/holders. I absolutely love this carrier. I love the look of the it. It would be perfect in my apartment. 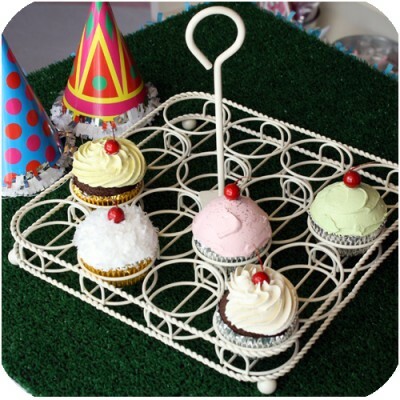 This is quite the comical cupcake carrier. It reminds me of a float you would use in the pool in the summer. Plus, its great if you live in a place with limited storage! i swear by the snapware cupcake carrier. it is a bit bulky, but it’s super versatile, and easy. I have the snapwear one as well, but if you jar the carrier even just a little bit when you carry it or whatever, the cupcakes flip right out of the little holders…. This caddy is super adorable!